CHIBOLYA Police Post officer-in -charge has been warned and cautioned in connection with the 13 suspects who escaped from the station on Monday. 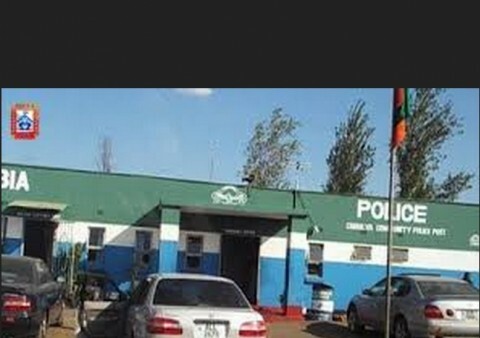 The 13 were facing offences ranging from murder, aggravated robbery, theft of motor vehicles, breaking into a building and committing a felony, assault and petty theft Zambia police spokesperson Charity Chanda said the officer-in-charge, whose name has been withheld for security reasons, was warned and cautioned for negligence of duty. Ms Chanda said while the officer-in-charge has been warned and cautioned, investigations into how the suspects escaped from the police post in broad day light are on-going. The spokesperson also said the 13 suspects, who escaped from lawful custody around 08:00 hours on Monday, are still on the run. She explained that the 13 suspects were not part of the 60 drug barons that were arrested from the area following the Drug Enforcement Commission (DEC) operation last Sunday. A visit to the police post in the heart of the sprawling township yesterday yielded no positive response from the officers who categorically refused to give an interview on how the suspects escaped. The tight-lipped officers referred all queries to the Lusaka Province commissioner of Police, Lemmy Kajoba’s office as well as the public relations department. On Sunday, officers from the DEC raided Chibolya market to check for drugs which annoyed the traders who fought back in clashes that saw 10 people being arrested while two private cars were burnt in the process. The rare operation in an area previously regarded as a ‘no-go area’ for DEC and Zambia Police sparked riots in which the officers fought running battles with the stone-throwing residents. In the wake of the clash, Home Affairs Deputy Minister Stephen Kampyongo said Sunday’s operation in Chibolya was the fifth in a series of check-ups aimed at freeing the notorious township from drug rings. Mr Kampyongo said at a joint press briefing with Inspector General of Police Stella Libongani, DEC Commissioner Alita Mbahwe and Chief Immigrations Officer Chilomo Milimo that the ultimate target was to cut the supply line of the drugs as well as bust the market.